ansible all -a "mkdir hello"
docker@ManagerX:/etc/ansible$ ansible all -a "/bin/echo hello"
[[email protected]01 ~]# ssh [email protected]172.16.1.41 "hostname -i"
[[email protected] scripts]# ssh-copy-id -i /root/.ssh/id_dsa.pub "-p 52113 [email protected]"
ssh-copy-id -i /root/.ssh/id_dsa.pub "-p 52113 [email protected]"
sshpass -p123456 ssh-copy-id -i ~/.ssh/id_rsa.pub " [email protected]$ip  -o StrictHostKeyChecking=no "
[root@docker ansible]# cp /root/ansible/examples/hosts /etc/ansible/. 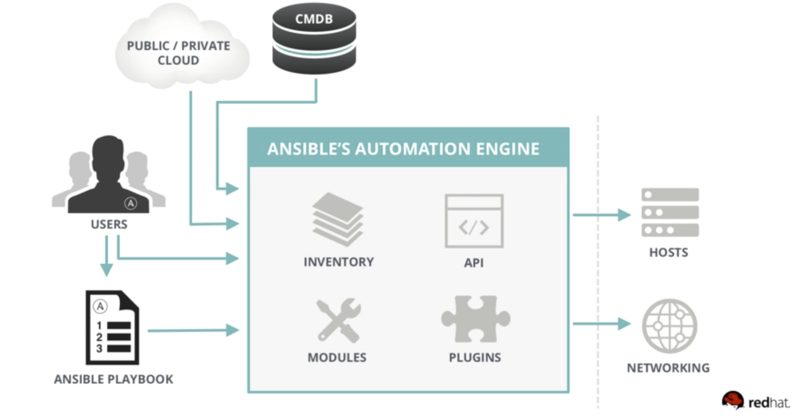 ansible oldboy -m command -a "uptime"
# ansible oldboy -m command -a "chdir=/tmp ls"
[[email protected] ~]# ansible all -a "date"
[[email protected] ~]# ansible all -m command -a "date"
[[email protected] ~]# ansible oldboy -m command -a "chdir=/tmp pwd"
[[email protected] ~]# ansible oldboy -m command -a "creates=/etc/hosts date"
[[email protected] ~]# ansible oldboy -m command -a "removes=/etc/hosts date"
[[email protected] ~]# ansible oldboy -m shell -a "/bin/sh /server/scripts/ssh-key.sh"
[[email protected] ~]# ansible all -m script -a "/server/scripts/free.sh"
[[email protected] ~]# ansible oldboy -m copy -a "src=/etc/hosts dest=/tmp/ mode=0600 owner=oldboy group=oldboy "
[[email protected] ~]# ansible all -m shell -a "ls -l /tmp/hosts"
[[email protected] ~]# ansible oldboy -m copy -a " src=/server/scripts/ssh-key.sh  dest=/tmp/ remote_src=true"
[[email protected] ~]# ansible oldboy -m copy -a "content=oldboyedu.com dest=/tmp/oldboy666.txt"
[[email protected] ~]# ansible oldboy -m file -a "dest=/tmp/oldboy_dir state=directory"
[[email protected] ~]# ansible oldboy -m file -a "dest=/tmp/oldboy_file state=touch"
[[email protected] ~]# ansible oldboy -m file -a "src=/tmp/oldboy_file dest=/tmp/oldboy_file_link state=link"
[[email protected] ~]# ansible oldboy -m file -a "dest=/tmp/oldboy_dir state=absent"
[[email protected] ~]# ansible oldboy -m file -a "dest=/tmp/oldboy_file state=absent"
[[email protected] ~]# ansible oldboy -m copy -a "src=/etc/hosts dest=/tmp/01/0/0/0/0/0/0/0/"
[root@docker ~]# ssh-keygen -t rsa -C "management"
[[email protected] cp]# ansible oldboy -m fetch -a "dest=/tmp/backup src=/etc/hosts"
[[email protected] tmp]# ansible oldboy -m fetch -a "dest=/tmp/backup/ src=/etc/hosts flat=yes"
[root@docker ~]# ansible centos_group -a "/bin/echo Hello world"
[[email protected] tmp]# ansible 172.16.1.8 -m mount -a "fstype=nfs opts=rw path=/mnt/  src=172.16.1.31:/data/ state=mounted"
[[email protected] tmp]# ansible 172.16.1.8 -m mount -a "fstype=nfs opts=rw path=/mnt/  src=172.16.1.31:/data/ state=unmounted"
[[email protected] ~]# ansible oldboy -m cron -a "minute=0 hour=0 job='/bin/sh  /server/scripts/hostname.sh &>/dev/null' name=oldboy01"
[[email protected] ~]# ansible oldboy -m cron -a "minute=00 hour=00 job='/bin/sh  /server/scripts/hostname.sh &>/dev/null' name=oldboy01 state=absent"
[[email protected] ~]# ansible oldboy -m cron -a "name=oldboy01  state=absent"
[[email protected] ~]# ansible oldboy -m cron -a "name=oldboy01 job='/bin/sh  /server/scripts/hostname.sh &>/dev/null'  disabled=yes"
[[email protected] ~]# ansible oldboy -m cron -a "name=oldboy01 job='/bin/sh  /server/scripts/hostname.sh &>/dev/null'  disabled=no"
[[email protected] ~]# ansible oldboy -m yum -a "name=nmap state=installed  "
[[email protected] ~]# ansible oldboy -m service -a "name=crond state=restarted"
[[email protected] ~]# ansible 172.16.1.8 -m hostname -a "name=web01"
[[email protected] ~]# ansible 172.16.1.8 -m selinux -a "state=disabled"
[[email protected] ~]# ansible 172.16.1.8 -m get_url -a "url=http://lan.znix.top/RDPWrap-v1.6.1.zip dest=/tmp/"
- command: echo hello oldboy linux. ansible all -m command -a "echo hello oldboy linux"
command: echo hello oldboy linux.